The beef at the Y.O. Steakhouse in Dallas is U.S.D.A. Prime and is hand-cut in house. In preparing our steaks and other meats we employ a method very similar to the one the ranch hands have been using for more than 125 years. Seasoned with our own brand of herbs and spices, our meats are charred on a flat top griddle and then finished by being seared with our secret finishing sauce. This process traps in all the juices, resulting in a succulent, tender steak. In addition, we are legendary for the extensive wild game selection on our menu, and many of those same animals roam freely over our 48,000 acre ranch. For those in the mood to try something out of the ordinary, the Y.O. Steakhouse offers several types of venison, game birds, and our signature dish, the buffalo filet mignon. An excellent selection of seafood rounds out the menu. Nightly specials at the Y.O. Ranch Steakhouse include lobster, shrimp, salmon, sea bass, tilapia and other fresh fish. Texans are known far and wide for their hospitality and at the Y.O. 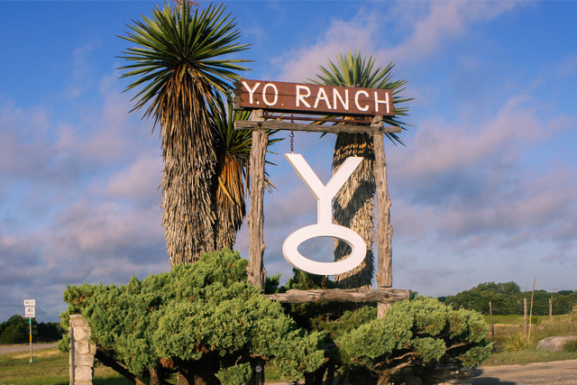 Ranch Steakhouse you will receive the same sincere reception that has made the Y.O. Steakhouse legendary. The Y.O. servers are knowledgeable, friendly and strive to ensure your dining experience is a memorable, delightful experience. Whether dining or simply relaxing over a cocktail with friends, the Y.O. 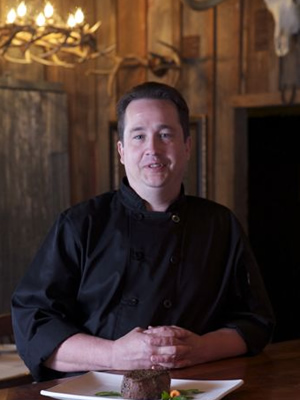 Ranch Steakhouse offers a warm, inviting atmosphere. With its 100-year old brick arches, iron accents and candlelit tables, the main dining room delivers an authentic steakhouse dining experience that is relaxing with a touch of elegance. The Y.O. 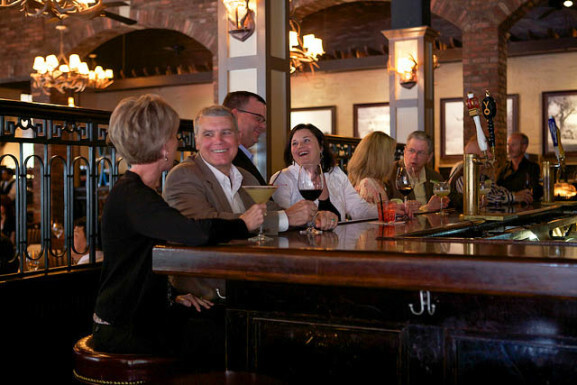 bar is the perfect spot for enjoying a drink before or after dinner or grabbing a quick bite. 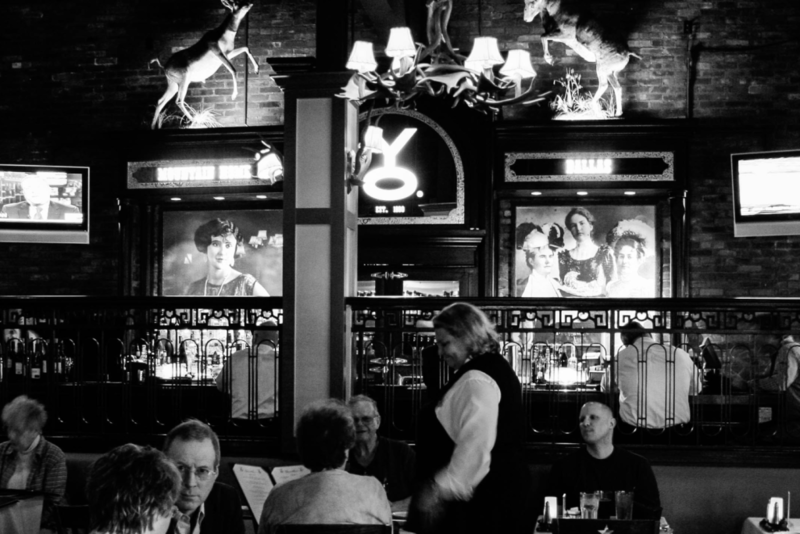 The rich, deep wood and historic black and white photos create a comfortable ambiance to enjoy the fully-stocked bar. 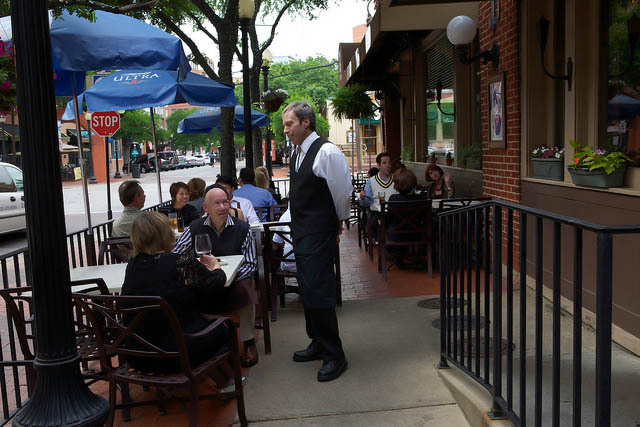 Dining on our beautiful patio under Texas Live Oaks and amidst overflowing flower baskets is an excellent option for a casual lunch or dinner at a Dallas steakhouse, all the while taking in the energetic atmosphere of Market street. The Y.O Steakhouse private dining, bar and banquet facilities, can accommodate parties from 20-300 for business or pleasure, day or night. Your guests will experience a unique, memorable dining experience combined with the highest quality food and service available. Land leaves its imprints upon the people who care for it, manage it and live on it, just as surely as these people leave their mark on the land. Nowhere can this be seen more clearly than deep in the tree-studded, canyon-broken heart of the Hill Country where the Y.O. Steakhouse has permanently branded six generations of the Schreiner family and those same hard-working folks have left their indelible prints on the Y.O.